A previous patient referred this young lady to Dr. Oakley Smith. 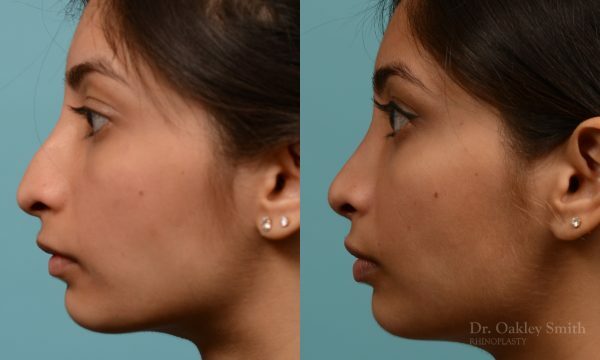 She wanted her nose to be straight and her breathing normalized. In addition, she didn’t like the bump and the tip turned down. She had a severe deviation of her septum which was reflected externally as a crooked nose. Most people naturally think that if the deviation is fixed and breathing is restored, then the outside of the nose will also be straight. In fact, this is seldom the case. 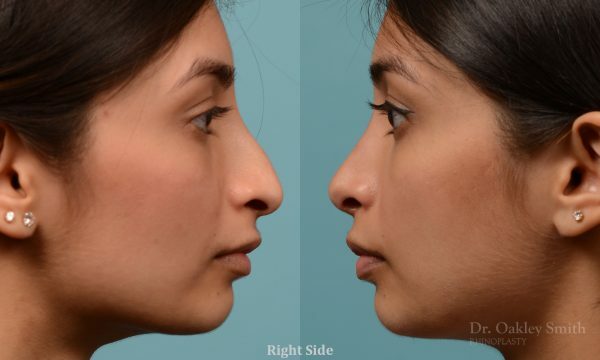 Of course to have a straight appearing nose, the septum almost always has to be straight inside, but the opposite isn’t the case. This is because more than a straight septum is needed to make the outside straight. 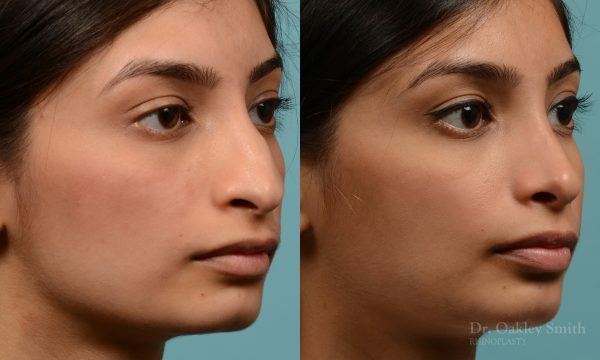 There are side plates of cartilage which hold the outer edge of the septum crooked and they must be operated on and modified to allow this part of the septum to come to the middle. She had already undergone a septoplasty with some improvement in her breathing. Previous surgery always reduces the probability of success, but fortunately here her breathing was restored to normal. A temporary and absorb-able plate was used to maintain her septum in place during the first several months of healing. 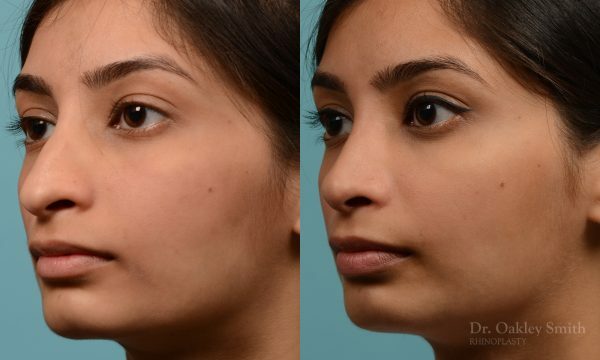 Because of her thin skin, crushed cartilage was needed to smooth out the depressions which arise from removing the nasal hump. 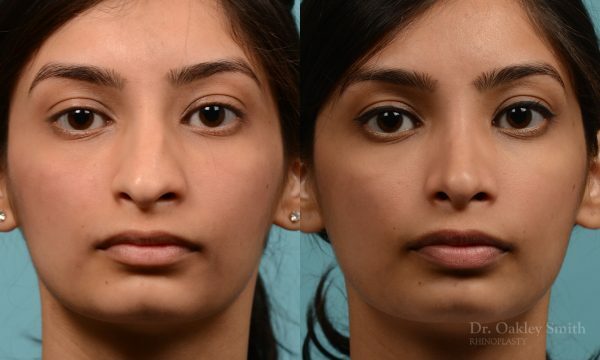 Otherwise in thin skinned noses, these depressions can be visible as the skin drapes closely to the underlying nasal framework. Before and after photos belonging to Dr.. Oakley Smith, a well-known Facial Plastic surgeon based in Toronto.